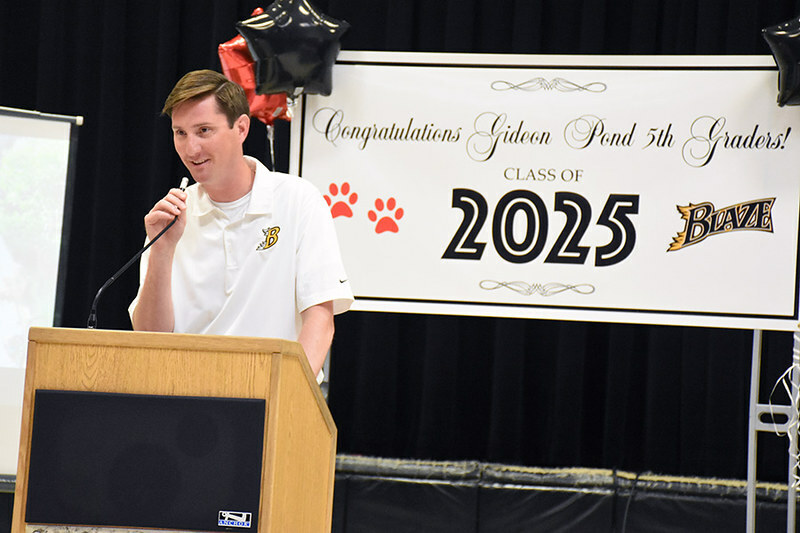 At a celebration on the last day of school, Gideon Pond Elementary Principal Chris Bellmont called this year’s class of 5th grade students a shining example of how honoring diversity can raise everyone up. “This group is so strong together,” he said. While the celebration was primarily to wish the students well as they finish their time at Gideon Pond and head toward middle school, it was also a time to celebrate their amazing growth over the past several years. According to Bellmont, when this year’s fifth graders were in second grade, less than 30 percent were measured as “proficient” on standardized tests. Now, three years later, more than twice as many students scored “proficient” on the MCA literacy test according to preliminary data. Bellmont said there were many changes made that helped support these students, including focusing on culturally proficient practices, using individual student data, and the new Making Meaning literacy curriculum. But he added that the wrap-around support from staff, parents and the community is what truly allowed the student to start to shine. Congratulations to this year’s Gideon Pond fifth graders!